This morning we covered lots of ground on the northern part of Stellwagen Bank and went all the way around Thatcher’s Island and almost to Jeffrey’s Ledge. 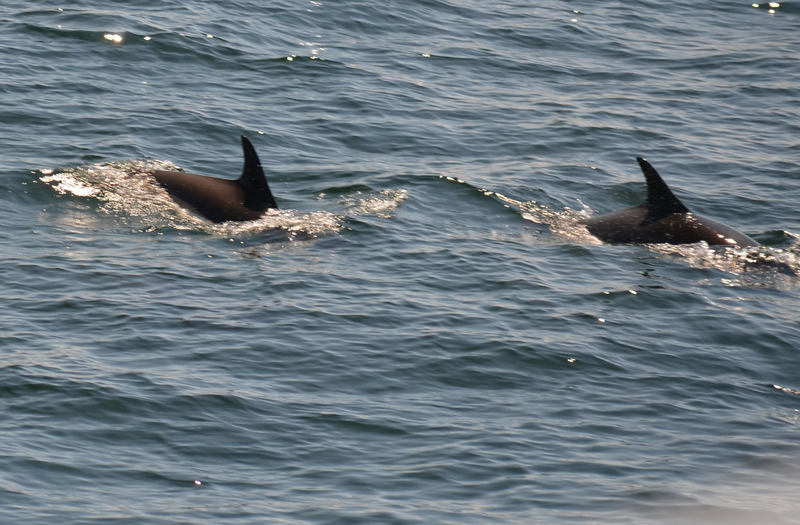 We spotted a couple of harbor porpoises and minke whales but both species proved to be quite illusive. 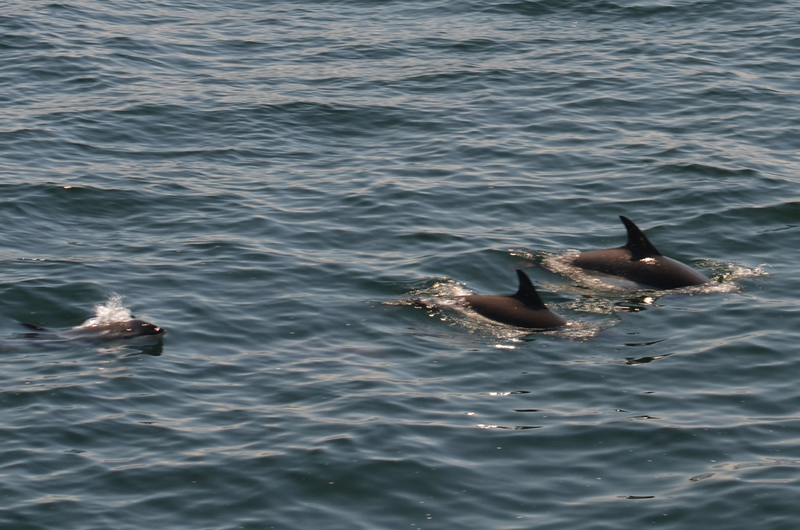 We finally headed towards mid bank where we were delighted to find an enormous pod of Atlantic white-sided dolphins! There were also many birds in the area and together the birds and dolphins appeared to be working some bait fish just below the surface of the water. As we watched the feeding take place, we saw a couple dolphins display full breeches which is when a marine animal jumps clear out of the water displaying their entire bodies. The giant pod of dolphins spread out over several miles. As we carefully motored through the large group, a number of dolphins rode our wake and weaved in and out of the bow pulpits. Our guests on the bow had the most amazing looks of these beautiful animals! 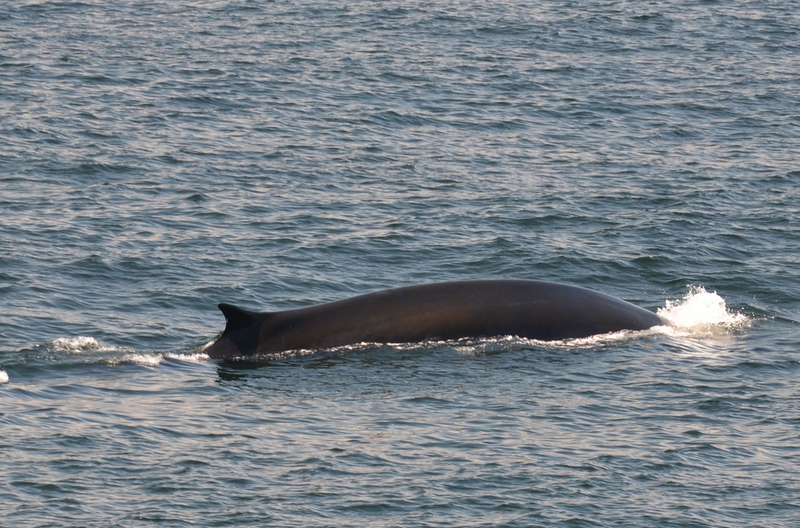 We also got to spend a short amount of time with a large fin whale who was resting at the surface of the water. Being one of the fastest large animals of the sea, it’s unusual to see fin whales not in motion. After just a few moments, this behemoth animal seemed to sense our presence and dove beneath the surface of the water never to be seen again! We were super excited to have two Stellwagen Bank Sanctuary Seabird Stewards on board with us this morning! These S4 members are citizen researchers that work all year round to help further our understanding of Stellwagen Bank as an ecosystem by studying the seabird populations and their migratory patterns as they travel through Massachusetts Bay. 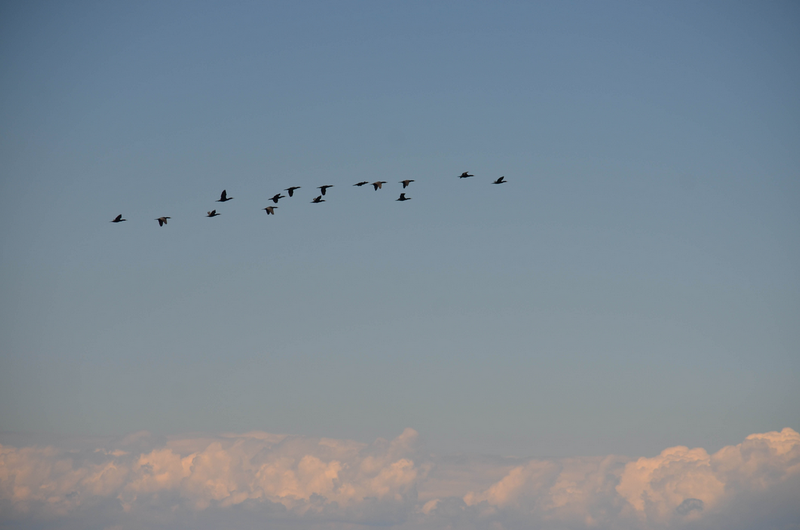 As they surveyed today, some of the species we identified included northern gannets, surf scoters, white-winged scoters, double-crested cormorants, laughing gulls, black-backed gulls, herring gulls, common loons and eiders. Thanks to these ocean stewards, the scientists and the many volunteers that work out on the bank we are continually learning more about what is going on both above and below the surface of the water!